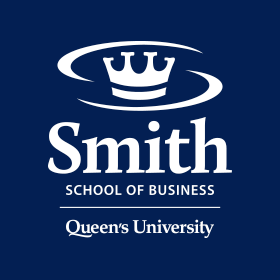 Thank you for considering Smith School of Business at Queen's University as your exchange destination. We have an exchange program at both the undergraduate and graduate levels. To be considered for exchange, your home school must have a formal exchange agreement with Smith School of Business. You will need to be selected and nominated by your home university, then apply and be accepted by Smith. It is strongly recommended that all applicants have successfully completed at least six foundation courses in Business and/or Economics at their home school. Students in an undergraduate program or in M1 of a Masters’ program will be admitted to the Commerce program. The MBA exchange program is offered in the fall term only. The MIB exchange program is offered in the winter term only. Students must be in an MBA or in M2 of a Masters’ program in order to be admitted into either graduate program. All courses are taught in English. Refer to the appropriate adjacent Fact Sheet for English proficiency requirements. Provides information specific to Smith students, such as: important dates, language requirements, course information, and Queen's GPA scale. Provides a list of Smith international partner institutions and the associated programs that are eligible for exchange. Provides important information for all exchange students coming to Smith School fo Business at Queen's University, such as: how to get to Queen's, health insurance, housing, and Study Permits/Entry Visas. *Course registration for Commerce begins in July; therefore, we recommend that undergraduate students be nominated by April 1 for both fall and winter terms because it will provide students with better access to our course offerings. *MBA courses are scheduled in 2-3 week blocks. The first course starts on September 11, the last course ends on December 15. Students are permitted to add or drop a course prior to the beginning of the second class. 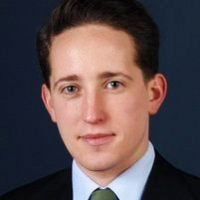 "Smith's Full-time MBA program offers a great academic environment with demanding classes. The program is focused towards practical applications and the professors as well as the staff are very supportive. The class “International Finance” offered a great mix of case studies, lectures, and latest articles from financial newspapers that gave students the possibility to apply concepts taught in class to current developments in the international financial markets. The student body is very international and, thus, offers the possibility to approach academic problems from many different viewpoints. Group work plays a major role within each class and the regular students are very open-minded and open-hearted towards exchange students not only in class but also on a personal level. Since the program is of similar size as the regular HHL program there is also a strong class spirit. Although HHL already offers a great international experience with respect to students, it was great to get to know North American teaching methods and to experience the atmosphere of a big campus university."